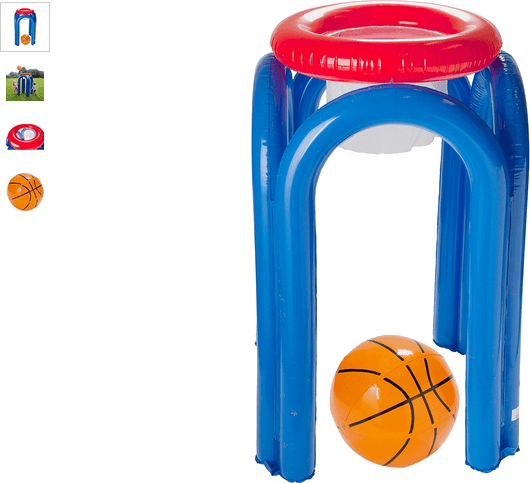 Using an inflatable structure to bolster a hoop the Chad Valley Giant Inflatable Basketball set can be shot at from all sides, making it a great addition to your garden for children to play against each other in sets or little groups. Get money off with April 2019 free Argos voucher codes, see if there's a promo code for the Chad Valley Giant Inflatable Basketball product. Argos may be out of stock of this product. To enhance your shopping experience you may also be redirected to a search results page when you click an outbound link. 3.4/5 from 8 recent reviews.